Tourist Information Walk 24a at Great Yarmouth to Mautby01493 846346work Walking RouteThis Great Yarmouth to Mautby Walk is a 6 mile (9.66 kilometre) circular walk starting at Bure Park on the outskirts of Great Yarmouth and takes you along both the banks of the river Bure and the the surrounding countryside of Mautby. A particularly scenic walk but with limited shelter along the way and no public facilities.. 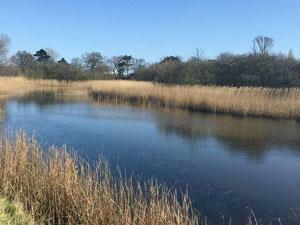 This Great Yarmouth to Mautby Walk is a 6 mile (9.66 kilometre) circular walk starting at Bure Park on the outskirts of Great Yarmouth and takes you along both the banks of the river Bure and the the surrounding countryside of Mautby.